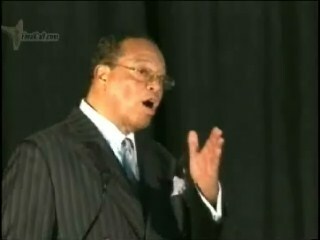 Black Woman Finally “gets” Farrakhan | Stop Obama Now!! ← Why label Obama Marxist/Communist? I post clips of Farrakhan like the one below and explain what he is talking about, the destruction of America and whites. He often preaches indirectly and in his own code language as does Jeremiah Wright. Often these Black Nationalist sects are like modern day mystery religions. That is, they are not that open about what the core beliefs are. Black Liberation Theology is similar. An apparently black woman finally understood what Farrakhan is about and posted this reply. Not sure she knew that I am not exactly black. This entry was posted in Black Cults, Nation of Islam. Bookmark the permalink.